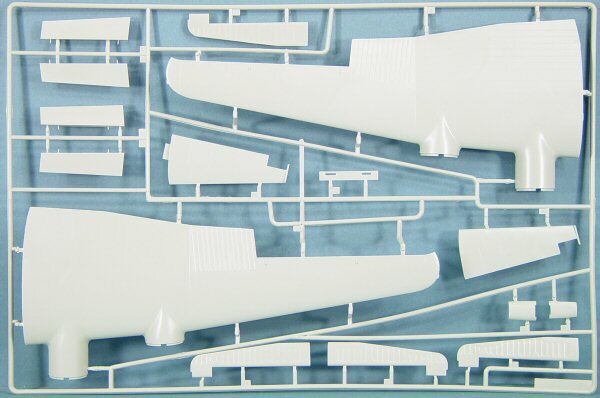 Who would have thought we'd have a production styrene kit of the Focke Wulf Fw 200 in 1/48 scale? As you might imagine, this bird is quite large. 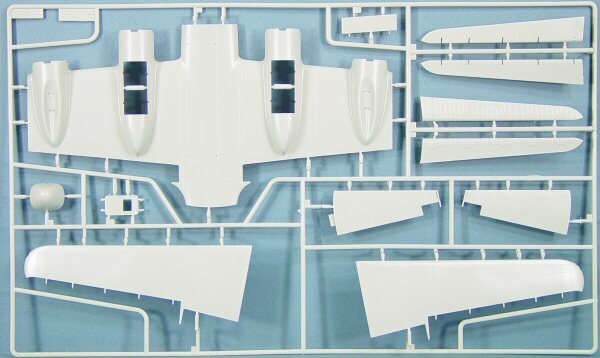 The kit comes on six parts trees plus a pair of fuselage halves molded in light gray styrene, and an additional tree of clear parts. 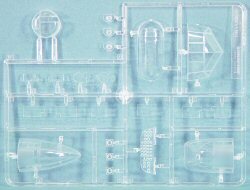 There is no photo-etch in the kit so construction will be no different than one of Monogram's large 1/48 B-17 or B-24 kits. 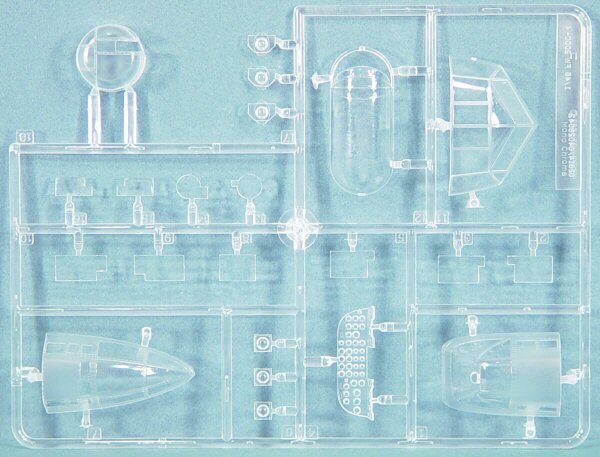 For those who might be interested, there are no photo-etched hinges for the flight controls. 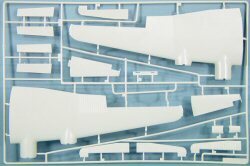 The ailerons, rudder, elevators and flaps are all separately molded and positionable. 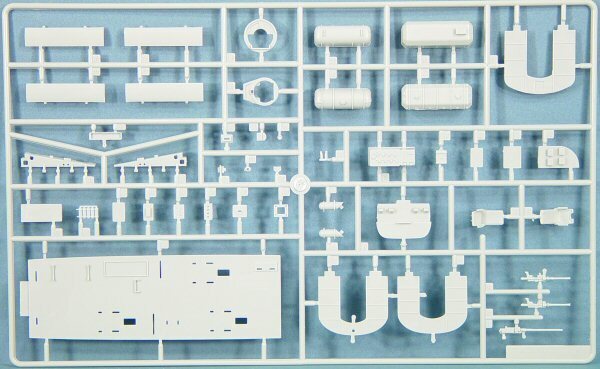 The cockpit is nicely detailed and even features an acetate set of instrument faces for the main instrument panel. How well this will all be seen through the main cabin windows is unknown. If you can see the acetate instruments through the cockpit windows, you'll also see the absence of seatbelts and harnesses, so you might want to get some for your own build. For a change, Trumpeter didn't waste a lot of detail on the engines where it wouldn't be seen. Instead, an engine face is inserted into the cowl halves and the oil cooler and exhaust stacks are applied to the outside. Simple and effective. Details weren't skipped in the turrets or landing gear however. Just about anywhere you can see there is detail. 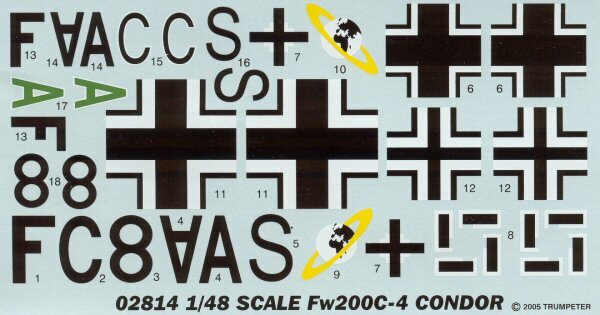 Out of the box, the kit is intended for the maritime reconnaissance version, but you can modify the interior into a different mission configuration such as VIP transport. My example had some ejector pin marks inside the fuselage halves. There is no detail molded into the insides of these halves making clean-up a snap. 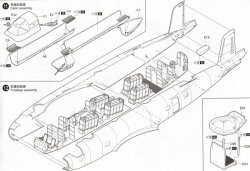 Someone more knowledgeable than I should be able to tell us if the Condor retained the main cabin sound and thermal insulation. If so, then simple clean-up of the ejector pins on the fuselage halves is all that needs to be done. If the insulation was removed (or never installed in the C-3/C-4 maritime reconnaissance aircraft), then you might want to add rib and stringer detail if you pose the main cabin door open. If you're doing the VIP transport, the main cabin definitely had the insulation installed. I'm impressed with the detailing in this kit. I don't see any fit problems other than a slight gap that appears in the fuselage top above the wing that may need a little filler. 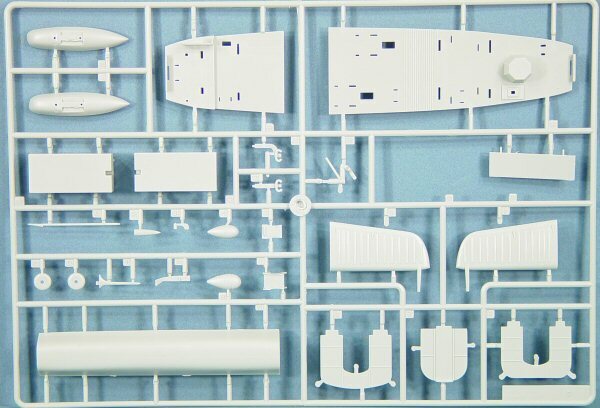 With no photo-etch and no really complicated assembly required, any modeler with some basic skills will enjoy this kit.